Check yourself in style with these 'Unusual and Creative Mirror Designs' from all over the world. 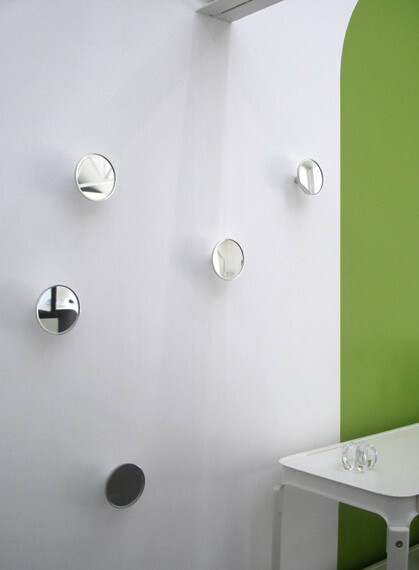 +336+ SMS Mirror: The +336+ mirror designed by Stadler receives SMS messages sent from a mobile phone. 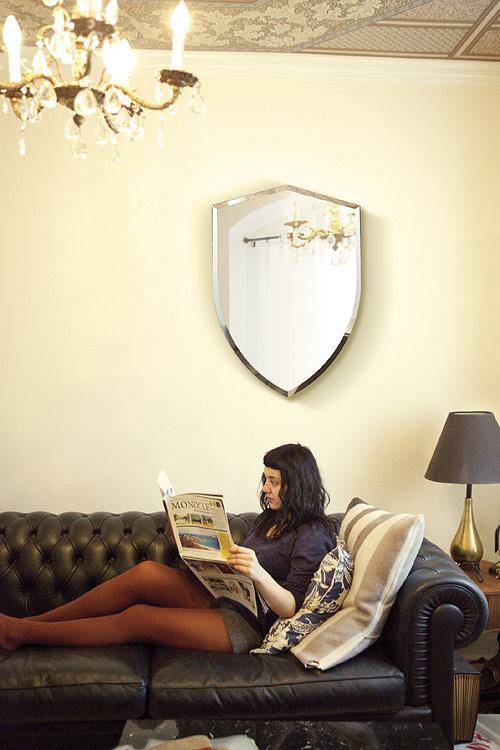 Reflect Mirror: An unusual design mirror by Goody Grams comes with its 90° angle that can be used as a tray to place your keys, sunglasses, jewelry, etc., so that you won't forget to take them with you after checking yourself out in the mirror. 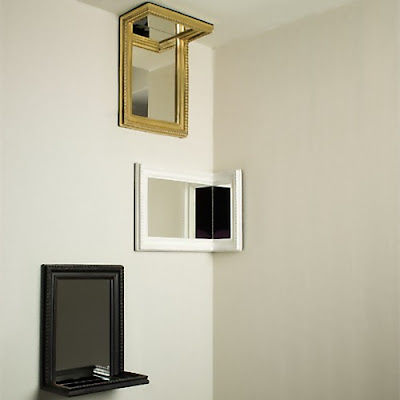 Apart from this you can take advantage of the angle to place the mirror in a corner. 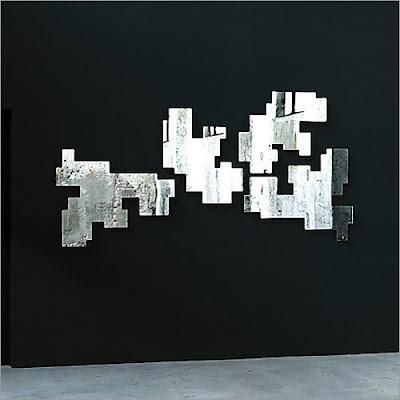 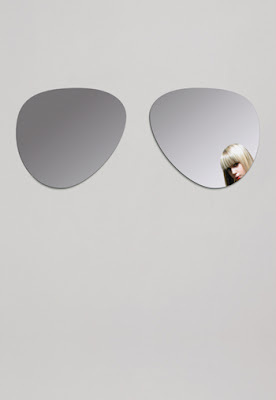 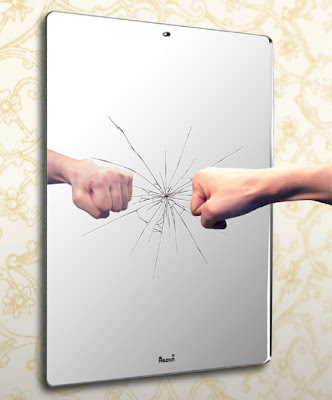 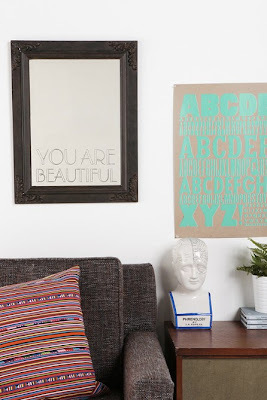 Mirrors by Siney: A cool mirror that will look great on your wall; comes with the option of 'hands up' or 'hands down'. 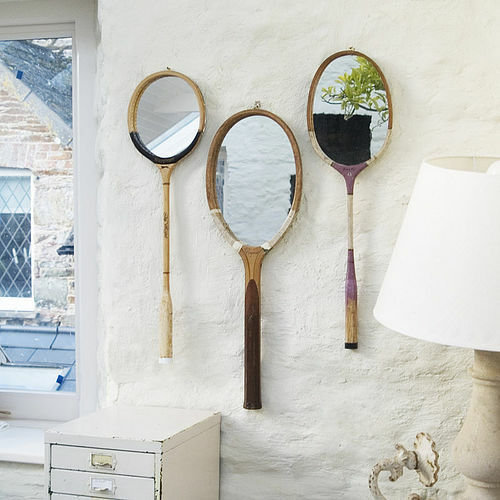 Tennisracket Mirrors: Creative mirrors, made with vintage tennis racquets. 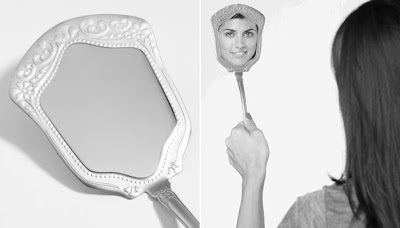 Mirror Spatula: An unusual mirror to check yourself out everytime you flip something in it. 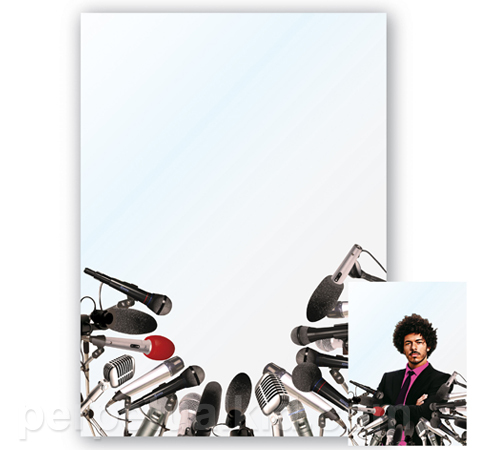 Press Conference Mirror: A cool mirror comes equipped with microphones that can come in handy for your rehearsal of important speech. The Innervision Mirror: Creation of Gavin Coultrip; comes in two versions, and quotes by Oscar Wilde. 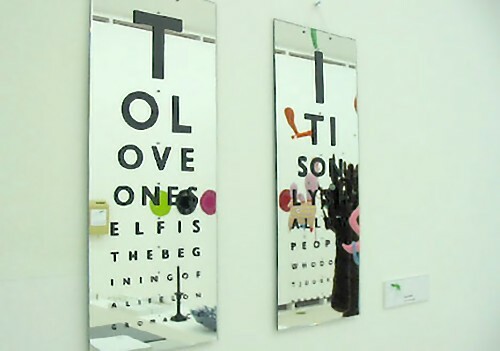 Broken Mirror: An unusual mirror design by Hideo Kawamura. 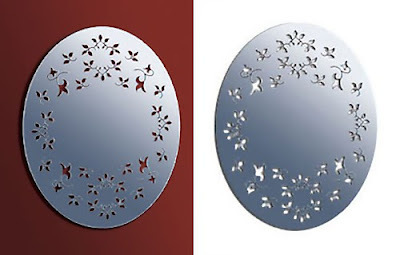 Matching Mirror: A creative mirror design by Frederik Roijé, this floral pattern mirror incorporates the existing wall's colors and patterns into its own frame. Check: Designed by Véronique Maire, it's a wall-hook and mirror for that last minute 'check'. Don't miss to check out "Unusual and Creative Mirror Designs - Part: 1| 2| 3."